I saw an article about sector exchange-traded funds recently. While the author was talking about the 11 different S&P 500 sectors and how you can trade each of them using State Street SPDRs, it got me wondering about all the other sector ETFs to own in the marketplace. According to ETFdb.com, there are 446 sector ETFs to own that aren’t SPDRs with more than 30 over $2 billion in assets under management ensuring they won’t be closed due to a lack of investor interest. 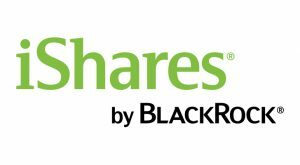 Interestingly, Bloomberg reported in March that BlackRock, Inc. (NYSE:BLK) introduced iShares Evolved, a group of actively managed ETFs that will use machine learning and natural language processing to pick the stocks that are held by the funds. Therefore, a company like Amazon.com, Inc. (NASDAQ:AMZN), which traditionally gets slotted in a retail or consumer discretionary sector ETF, will be held by both its technology and discretionary spending ETFs. I’ve long thought someone should introduce a sports ETF because of how many sectors sports businesses cross in their day-to-day operations. For example, CBS Corporation (NYSE:CBS) is a media company but it’s also a sports business owning several sports-related broadcasting entities. While most investors consider sector ETFs a way to plug holes in one’s portfolio, I see all seven of the sector ETFs listed here being good to own for the long haul. Expense Ratio: 0.59%, or $59 per $10,000 invested annually. 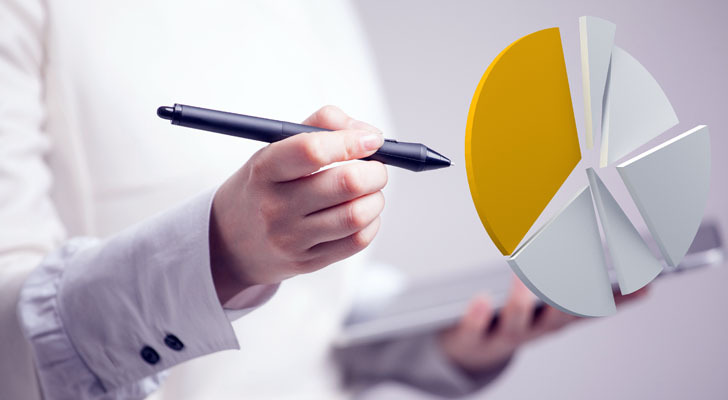 One of the primary objectives of this article is to highlight seven different sector ETFs issued by seven different asset managers. Otherwise, I’d have been tempted to just go with Vanguard across the board. The Columbia Emerging Markets Consumer ETF (NYSEARCA:ECON) straddles both the consumer discretionary sector with a weighting of 54.4% and the consumer staples sector with a weighting of 42.7%. It even has 2.9% invested in industrial-sector stocks. First, it’s an emerging markets ETF so it’s got a number of Chinese, Indian and Latin American holdings. However, it tracks the Dow Jones Emerging Markets Consumer Titans 30 Index, which means you’re getting 29 of the leading consumer goods and consumer services companies operating in some of the world’s fastest-growing economies. Charging just 0.59% annually, this is an excellent way to gain access to emerging markets in a very focused manner. It’s not the biggest of the Vanguard sector ETFs but the Vanguard Consumer Staples ETF (NYSEARCA:VDC) is the biggest of the non-SPDR consumer staples ETFs out there, so I went for it. First of all, at 0.1%, you’re not going to break the bank and that’s always important when investing in ETFs. Secondly, it’s holding 99 of the biggest consumer staples stocks in the U.S. with a median market cap of $82.7 billion. However, if you’re not a fan of tobacco stocks, there are two in the top six holdings: Philip Morris International Inc. (NYSE:PM) in fourth spot and Altria Group Inc. (NYSE:MO) in the sixth position. Tobacco stocks as a group account for 13% of the ETF. Consumer staples stocks haven’t performed nearly as well as consumer discretionary stocks over the past five years. The Vanguard Consumer Discretionary ETF (NYSEARCA:VCR) has a five-year annualized rate of return of 14.3%, almost 600 basis points higher than VDC. Not to worry. Reversion to the mean ought to help the VDC do better against the VCR over the next five years. At 290 stocks, the iShares U.S. Financials ETF (NYSEARCA:IYF) has more than double the holdings of the two previous sector ETFs combined. However, the top 10 holdings account for 40.2% of the ETFs $2.2 billion in total assets so it’s a reasonably concentrated portfolio in disguise. Tracking the performance of the Dow Jones U.S. Financials Index, its number one holding is Berkshire Hathaway Inc. (NYSE:BRK.A, NYSE:BRK.B) at 7.36%. You couldn’t ask for a better company to be at the top of the portfolio’s holdings. Banks account for 32% of the ETFs portfolio, diversified financials like Berkshire Hathaway another 28%, real estate at 18% and just 14% for insurance. IYF is not having a great year to date, down 1.1%. That said, over the past decade since the economic crisis of 2008, it has had winning years 70% of the time. At 0.44%, its annual management expense is neither cheap or expensive. Of the seven sector ETFs, this would be the one I’d be least likely to own because I’d sooner opt to own Berkshire Hathaway and maybe a couple of banks and that’s it. I thought about going with First Trust for healthcare but want to save it for technology so I’ll go with the Fidelity MSCI Health Care Index ETF (NYSEARCA:FHLC) instead. Very cheap at 0.08%, its $1.1 billion in net assets track the performance of the MSCI USA IMI Health Care Index, a portfolio of 333 healthcare stocks which includes all the big large-cap drug companies. The top 10 holdings account for 44% of the ETF’s assets. Pharmaceuticals account for 30% of the portfolio with biotechnology and equipment the two next largest at 22% and 21% respectively. Performance wise, it really hasn’t done all that great since its inception in 2013, which is strange considering how hot healthcare has been in recent years. Over the past three years, it’s annualized total return was 5.3%, less than half IYF mentioned previously. Nonetheless, if you want to capture the healthcare market, FHLC’s low fees make it easier to take. Long term I’d guess they’ll be closer to double-digit annual returns. I’ve always believed in equal-weight ETFs because they don’t allow a few big stocks to control the direction of the ETF. A cap-weighted ETF is great when the biggest holdings are doing well, but when they’re not, investors suffer despite the diversification seemingly present in a portfolio with 200 or more holdings. 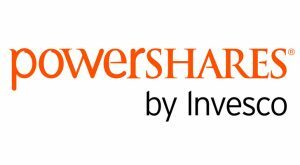 The PowerShares S&P 500 Equal Weight Industrials Portfolio (NYSEARCA:RGI) tracks the performance of the S&P 500 Equal Weight Industrials Index, a group of 70 industrial stocks from the index. The fund charges a reasonable management fee at 0.4%, and the fund and index are rebalanced quarterly. Machinery, aerospace & defense, and professional services are the three largest industries in the portfolio at 20%, 19% and 7% respectively. Over the past three years, RGI has outperformed the S&P 500 by 59 basis points. In fact, it has also outperformed the S&P 500 in the five-year and 10-year periods. Maybe Buffett was wrong? Instead of buying an S&P 500 mutual fund or ETF, buy RGI in its place. I don’t know what it is about First Trust but up and down its product lineup there are ETFs different from the rest of the biggest players in the industry. Either they’ve got interesting fund names or they follow a very different set of rules. Whatever it’s doing, it’s working. Take the First Trust Dow Jones Internet Index Fund (NYSEARCA:FDN). Launched in 2006, it has managed to grow to $7 billion in assets despite having a 0.54% management expense ratio. Morningstar gives it five stars in the technology category out of 136 funds over the past ten years. In that time, FDN’s averaged an annualized total return of 18.5%, almost 600 basis points higher than the entire technology category and almost double the S&P 500. To be included in the fund, which tracks the Dow Jones Internet Composite Index, a stock must generate at least 50% of its annual revenue from the internet. FDN provides investors with just the right amount of diversification holding 42 stocks. Not too many. Not too few. Just right. If you can only buy one ETF, I would recommend you buy FDN. It won’t let you down. It’s not going to hit you any home runs but the Schwab U.S. REIT ETF (NYSEARCA:SCHH) has performed just fine since its inception in January 2011. Charging a measly 0.07%, real estate investors who’ve bought SCHH have achieved an annualized total return of 8.7% since its inception. It’s not internet good, but it has kept up with the real estate category and that’s really what matters in any apples-to-apples comparison. SCHH gives you diversified exposure to a number of different REIT subcategories including retail at a 21% weighting, residential REITs at 20%, followed by office, specialized, healthcare, industrial, hotels, and even diversified REITs in a descending order. Now that real estate has been separated from the financials’ sector, I expect that real estate REITs like SCHH will grow substantially in the next years … although, at $3.9 billion, SCHH is hardly a big secret. If you don’t own a home, this is a great way to benefit from the ongoing growth in real estate. If you do own a home, I wouldn’t overdo it. You’ve got plenty of exposure with your house. Article printed from InvestorPlace Media, https://investorplace.com/2018/04/7-sector-etfs-to-own-now/.